What Is the Prognosis of Epidural Steroid Injection? There are several types of epidural steroid injections. They can be described according to the location they are given. Injections in the neck are called cervical epidural injections, while injections in the middle back are thoracic epidural injections, and injections in the low back are called lumbar epidural injections. They can also be described according to the path of the needle. Most epidural steroid injections are placed between the lamina, known as interlaminar epidural steroid injections. The lamina is portions of the bones on the back side of the spine that are arranged like shingles. The needle is aimed upwards toward the head and passes between two adjacent laminae. Another type of injection is a transforaminal steroid injection. 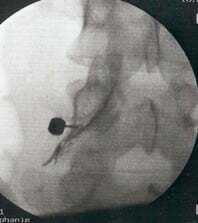 In this case, the needle passes along the course of the nerve and enters the spine from a more diagonal direction. The patient will be given specific instruction from the doctor prior to coming for the injection. In most cases, the patient can eat a small meal several hours prior to the injection. The patient can continue their normal medications with the exception of any blood thinners or anti-inflammatory medications. Please be sure to discuss all medications the patient is taking with the doctor when scheduling the injection to discuss the possibility of discontinuing any of them prior to the injection. After the patient arrives for your epidural steroid injection an intravenous (IV) line will be placed in one of the veins. The patient may be given a medication to help them relax during the procedure. The patient will then be placed on an X-ray machine over a bolster to help open up the spaces between the bones in the back. An X-ray will be obtained to verify the proper level for the injection. The skin will be cleaned and prepared for the injection. The skin will then be injected with a medication to numb the area. After the area is prepared and numb the doctor will insert the needle through the skin toward the spine. Once the needle is in the proper space a small amount of dye may be injected to verify the position of the needle on the X-ray. After this, the mixture of numbing medication and steroid is injected in the epidural space. The needle is then removed and a band-aid is placed over the site. should avoid driving and operating machinery for at least 12 hours after the injection. It is normal to have some mild drowsiness, and numbness, tingling or weakness in the legs for the remainder of the day. These symptoms will gradually wear off by the end of the day. Epidural steroid injections are generally very safe, but there are some rare potential complications. One of the most common risks is for the needle to go too deep and cause a hole in the dura, the tissue that surrounds the spinal cord and nerve roots. When this occurs spinal fluid can leak out through the hole and cause a headache. This headache can be treated with bed rest, or with a blood patch. A blood patch involves drawing some blood from the vein and the injecting it over the hole in the dura. The blood forms a seal over the hole and prevents any further fluid from leaking out. Rarely, a patient may develop an allergic reaction to one of the medications injected. This can cause itching, a drop in blood pressure, wheezing, or swelling. If the needle touches the spinal cord or nerve root it can cause a neurologic injury. This most commonly causes a temporary feeling of numbness or tingling in the extremities. There is also a very small risk of infection with the injection. The patient will typically make a follow-up appointment after the epidural steroid injection. This will likely be between two and six weeks after the injection to determine how the patient has responded to the injection and if they have any continued symptoms from the nerve compression. If the patient continues to have symptoms or if they return after a period of time they may consider having the injection repeated. Most physicians recommend no more than 3-4 injections during a year. The outlook for epidural steroid injections is very good. Most people who receive the injection obtain some improvement in their symptoms. Further research is being conducted to help doctors determine who will benefit most from epidural steroid injections. "Subacute and chronic low back pain: Nonsurgical interventional treatment"
What did you do to prepare for your epidural steroid injection? Did you experience complications from your epidural steroid injection? What were they?